I am a freelance writer born in Johannesburg now living in Melbourne. I love travelling and have lived in London and Taipei as well as travelling in and around South Africa. I have a great interest in exploring and love to share my finds with others. Tucked neatly between Flinders lane and Collins street, lies the fascinating Centre Place, which is one of Melbourne's more bohemian laneways and arcades. The laneway itself is really just a nook, but with tons of personality and vibe. The laneway is a vibrant fusion of European cafes and unique topical eateries, and above the shops and restaurants, you can note several residential apartments with a lucky few sporting small ornate balconies overlooking the lane itself. Centre Place laneway attracts many of the local artistic community and has become known for its stencil graffiti and street art, which decorates the laneway and is ever changing. The walls are covered with artwork, and you could easily sit in a cafe gazing at the vast array over a lengthy lunch or relaxing afternoon. 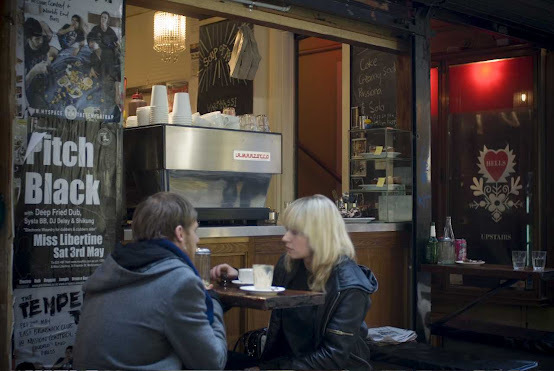 The cafes and restaurants in Centre Place laneway all have a defined personality, and offer a little something special with many giving you the chance to enjoy Melbourne's favourite past time - coffee! Limited outdoor seating is available and tucked snuggly against the side of each cafe. Among the eclectic cafes housed within Centre Place laneway, you can find Lorca, which is a Spanish, Portuguese fusion with a Western flair, that offers classic Spanish dishes and a unique breakfast menu. In a Rush, also known as The Soup Place, has the healthy quirk of its vast array of ready-to-go soups, which are displayed in large pots, designating what delicious soup they hold. The Soup Place is also well known for their excellent coffee. Jungle Juice bar is another Melbourne institution and is one of the older establishments in the laneway. 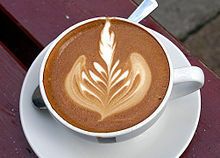 Again, known for great coffee, as well as New York style bagels and a huge variety of toasted sandwiches. These are but a few of the great venues in Centre Place, which also include B3 Cafe Patisser,i a French style restaurant and sandwich bar specialising in baguettes , Blue Fish and Aix Creperie and Salon and for after hours entertainment, why not try Lustre Lounge. Centre Place laneway truly has an atmosphere all its own and well worth a look this weekend.